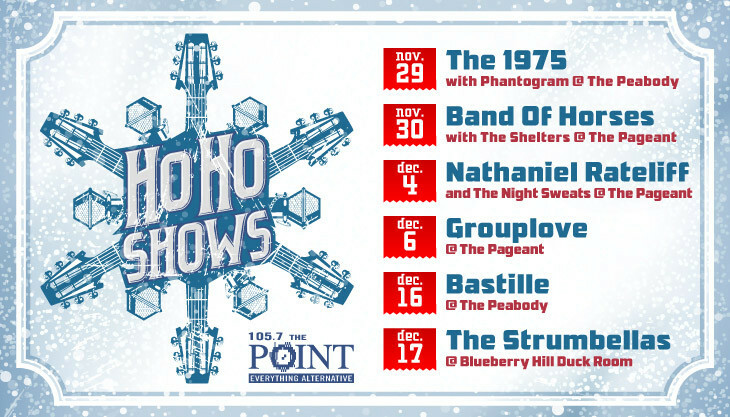 If you haven’t yet heard local Altrock station 105.7 The Point (KPNT) released it’s annual HO HO Show lineups and dates. The six shows will be spread out between The Peabody Opera House, The Pageant and Blueberry Hill Duck Room. Tickets for all six shows go on sale to the general public starting today (10/7/16). Scoop them up before they are gone. I’m so glad to see Midwest Rewind keeping everyone up to date on upcoming shows.